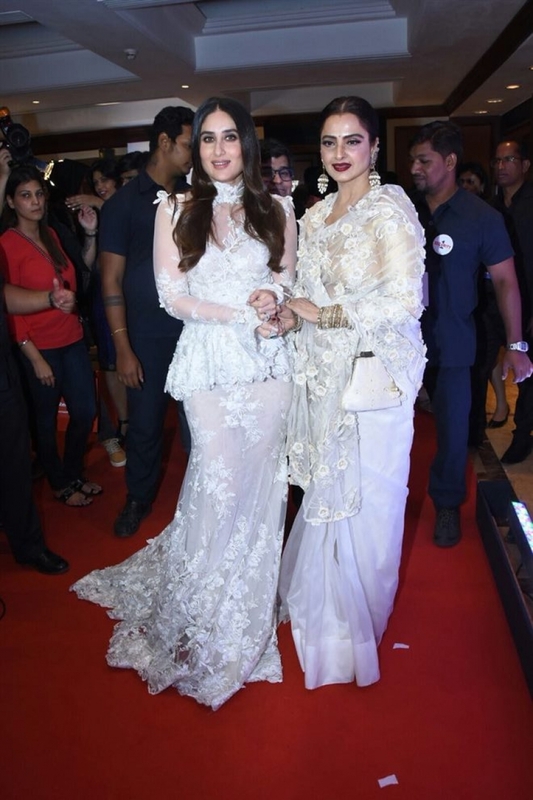 Rekha & Kareena Kapoor at Filmfare Glamour And Style Awards 2017 in Mumbai on Nov 01, 2017. Rekha at Filmfare Glamour And Style Awards 2017 in Mumbai on Nov 01, 2017. Katrina Kaif at Filmfare Glamour And Style Awards 2017 in Mumbai on Nov 01, 2017. Esha Gupta at Filmfare Glamour And Style Awards 2017 in Mumbai on Nov 01, 2017. Sridevi at Filmfare Glamour And Style Awards 2017 in Mumbai on Nov 01, 2017.